Francis Assisi said ‘Start by doing what’s necessary; then do what’s possible; and suddenly you are doing the impossible’ .But what do we mean by impossible? ?Maybe it is something that isvery hard that we don’t even try because of the fear of failure. Getting an admission in an IIM by writing CAT and competing among 2 lakh people might seem impossible. But all we need is the perseverance to start doing what’s necessary and if we continue this the possibilities are endless. And this is one aspect with which I can relate to IIM Trichy and helped me in my decision to choose IIM Trichy as a gateway into the world of Management. Since its inception in 2011 it has been constantly growing and nurturing students and now stands proudly in the 15th place in the category of Management Institutions according to the NIRF India Rankings 2018. Governed by the motto ‘Knowledge is endless’ the institution concentrates not only on imparting managerial knowledge but every aspect that would help in the holistic growth of a person and ignite them to become leaders of tomorrow. This knowledge impartment happens in a 175 acre sprawling campus with state of the are facilities and going with the motto the Learning Resource Centre is situated exactly in the centre of the campus to highlight the importance of imparting knowledge. In this fast-moving world, global exposure becomes very important and this has been identified by IIM Trichy and has attracted foreign faculty from abroad to gain insight on management in a global context. Along with academics, there is a focus on all-round development by means of the 20 clubs and committees. Another important aspect is the diversity present among IIM Trichy students that creates a highly enlightening environment to network and learn new things. Trust is an important part of life and it is something that can be earned only by setting an example. 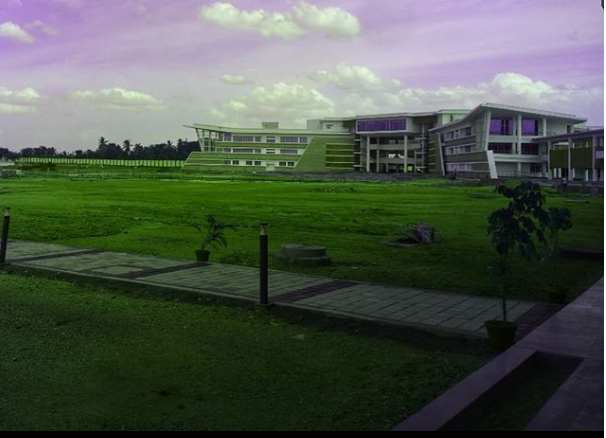 IIM Trichy in a short span of time has gained the trust of both the incoming students as well as the recruiters. It has managed to add new recruiters onto its profile and at the same time retain its position of importance with the previous recruiters. These had been my reasons for choosing IIM Trichy and in the week that I have spent here, I have realised that I have made the right choice. Given an opportunity I would like to be a part of Aditya Birla Fashion and Retail Limited. The reason behind this is Fashion Retail as a sector is one which all of us are familiar with and it’s a mode of expression of ourselves, but I would like to get to know the nuances involved in the amalgamation of the various fashion brands and delve deeper into how the fashion sector is run.